So Shay: One of my surprises. A couple of months ago, my friend Sabina wrote me and wanted me to take some pictures of her for her modeling/acting portfolio. I was so down, one because the girl is gorgeoussss and two because I knew she would be so fun to work with. We had Spanish class together in college. I remember she came back to school to finish up because I guess somewhere along her journey, she moved to LA and worked on some traveling shows, etc. etc. The girl is going places. Her dream job is to be a travel show host. What is she doing now? Oh...just traveling the world...living in Australia...and working for a traveling show as a location scout and working closely with the producer of the show. So on one "normal" day I get a message from her that says, "Hey! I am coming to Austin soon! Would you have time to take a few headshots for me while I'm there?" She gets to my house and she pulls a "fast one" on me I guess you could say. Her: "Sooo, I don't know if I mentioned this butttt I am currently working for St. Bernard Sports in Dallas (they have an Austin location too) and they wanted me to model some of their clothes for their upcoming spring/summer ads. Her: "No pressure but I also have this other dress...from my friend Ross' collection. He designed this dress and needs some pictures of it so if we could get some cool shots with this dress, that would be cool dude." Me: "Omg, omg omg omg omg omg OMG!!!!!" AND if this wasn't awesome....she said, "Shay! You got this! I wouldn't have asked you if I didn't think you could pull this off. They weren't sure about going with an unknown photographer, but I told them I believed in you." Me: "OMG OMG OMG OMG OMG OMG!" So we go off on our photoshoot and have ourselves an awesome time. I'm actually not sure if I can talk about it, but "my role" is pretty much .01% of awesomeness in the whole scheme of things. It's actually just one of those, "Hey that's cool!" things that happened to me fortunately. I think it's a big deal, for me, but really it probably isn't. 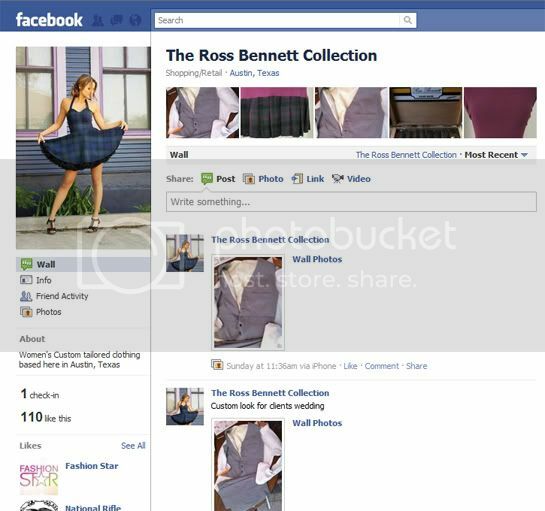 Yeah...Her friend Ross...has his own collection called The Ross Bennett Collection. He's going to be on Fashion Star on NBC this fall. All I know is that they just started filming. I don't know him, but I feel pretty honored and I'm super excited. Oh my gosh! Your hard work is paying off! I've been waiting excitedly to hear what your surprises are, and this did not disappoint! Congratulations, girl! WOW!! Shalyn that's SOO exciting!! She is absolutely gorgeous and you did a great job with her photos! I'm so excited for things to come for you!! This is AMAZING!! You seriously do some amazing work! :) I see big things in your future. Wow!! This is so awesome!! wow!! that is so awesome!! congratulations -- that is totally a big deal!!! That's really awesome! Your pictures are awesome! Congrats! Whoa! That is so awesome! Your photography is so great! Love seeing your work! those are amazing pics and you are such an awesome photographer!! ah! congrats! remember me when you are big and famous okay!? AH that's super de duper exciting!!! Oh my goodness I can't wait to see the show now! Oh, and your friend? She's stunning. Sometimes we just need a little push! :) You and your friend are both gorgeous. You could be sisters! great job. That is wonderful!! So exciting!! Wah hoo :) :) Great pictures!! She is gorgeous! Ya! How exciting that's awesome!! These are beautiful, girl! Great job! You are so talented!!!!! Your pictures are gorgeous! I'm so happy for you and all your success!!!! Holy moly, my name twin is famous! Congrats girl- you deserve every bit! Shalyn! I'm so excited for you. Like, I feel proud to be following you on blogger! :) Congratulations, lady! How fun and exciting!!! SO happy for you and what wonderful pictures you took...she is beautiful! Go, Shalyn!!!! and FOUR. you are so talented! That is so amazing!!!! And the picture was fantabulous!!! Of course he would use it:) Congrats!!!!! This is incredible and your photography is breathtaking. Girrrrl!!! This is AWESOME!!!!!!!!!!!! I am so, so happy for you!! Those pictures of your friend are truly amazing. I wish you could just implant all your knowledge and skills right into my little head.